I’ve stopped birth control and started the Lupron injections. No major swelling or pain with injection, so it seems that the Lupron I had before (that caused IVF cycle #2 to be cancelled) was compounded incorrectly. I started on the Estrace on Monday and thankfully the Lupron headaches have eased up a bit. My donor starts her injections on Sat. I think of her all the time, and not in the way I thought I’d think of her. I think of her like a comrade, or secret pen pal. Every time I give myself the injection I think of her, in her bathroom or kitchen, giving herself the injection too. I hope it’s not too bad for her. I hope she’s not regretting her decision now that she’s getting to the hard part. I hope she thinks of me. I hope she’s excited. I hope she knows how excited I am and how much this means to me and my husband and our families. In an uncharacteristically optimistic moment my husband and I decided to rent a house with 4 bedrooms instead of 3, so that we can have a nursery if this works. We have to be out of our house by Dec 31 (the landlord is trying to sell) and we don’t want to buy since we’ll likely have to move for my job once I finish the Ph.D. So, we were looking at both 3 and 4 bedroom homes and just decided to throw caution to the wind and hope for the best and get 4 instead of 3. It seems like tempting fate, but I’m so tired of being cautious! I’m so tired of hedging my bets and expecting the worst and guarding my heart and waiting for the other shoe to drop! I’m excited! I just want to be hopeful and excited. 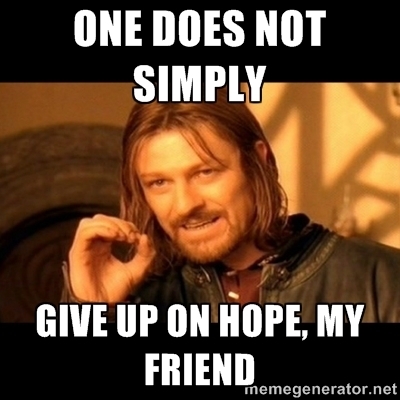 I think being hopeful is great, especially using a donor since the odds of success are so much higher. Enjoy having hope! Love this! Hopeful and excited. I hope she’s thinking as fondly of you as you are of her!